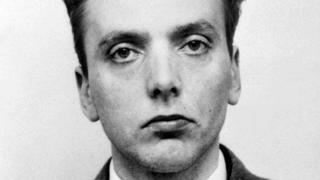 Moors Murderer Ian Brady is gravely ill and receiving palliative care, the BBC understands. Brady, who is 79, is being held at Ashworth Hospital, a secure psychiatric unit on Merseyside. The serial killer has been ill for some time and is being looked after by specially-trained nurses. Brady, who now uses the name Ian Stewart-Brady, was jailed for three murders in 1966 and has been at Ashworth since 1985. He has campaigned for several years to be moved from the secure unit to a Scottish prison, where he would not be force-fed and be allowed to die if he wishes. The 79-year-old has been on successive hunger strikes since 1999 and has previously argued that he should be allowed to die, but has been force-fed because he is considered to be mentally ill.
His request was turned down in 2013 on the grounds of his chronic mental illness and he refused to take part in a further review of his case in 2016, after it was ruled his solicitor Robin Makin could not be involved. His legal challenge to that ban was rejected in February. At that point, his legal team said he was "terminally ill" and had been bedridden for the last few years with emphysema. Brady and Myra Hindley, who died in prison in 2002, tortured and murdered five children in the 1960s. Four of the victims were buried on Saddleworth Moor, near Oldham. The pair were jailed over the killings of John Kilbride, Lesley Ann Downey and Edward Evans in 1966, before later admitting the murders of Pauline Reade and Keith Bennett. Brady has never revealed where Keith Bennett's remains were buried.